First staged in 1990, the Winter Fair is now firmly established as one of the most popular attractions on the British agricultural show calendar. Leading stockmen from all over the UK compete for the top accolades in the competitions running throughout the two-day event. 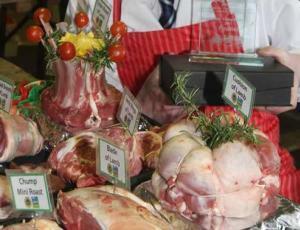 Away from the judging rings the very best of Welsh food producers will be showcasing their produce and Christmas shoppers can explore the hundreds of trade stands, demonstrations and exhibitions and festive atmosphere. Late night shopping on Monday night with FREE entry after 4pm. FREE spectacular fireworks display on Monday evening. Gate prices per day – Adult: £15. Children (5-16): £5. Children under 5 free of charge when accompanied by a full paying adult.